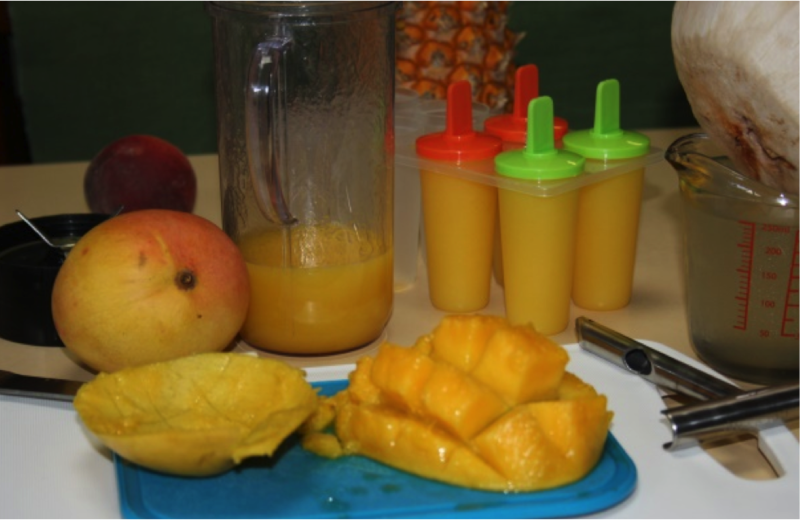 Roughly chop your mango and place it in the blender, along with the coconut water. Blend for a couple of seconds, then pour into ice block moulds and freeze until set. If you’re not that keen on mango, just use your favourite fruit to create a cool refreshing treat, without all that extra sugar and flavourings.